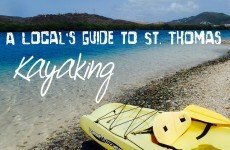 This is your chance to experience a spectacular five-hour, multi-eco adventure of kayaking, hiking, and snorkeling in St. Thomas' Inner Mangrove Lagoon Sanctuary and the Island of Cas Cay. 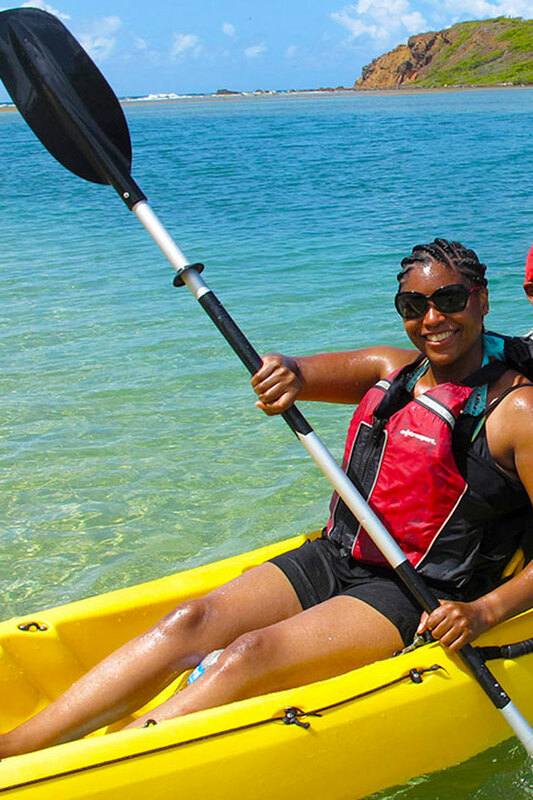 You begin by kayaking among the many small islands of the Mangrove Lagoon to Long Point and Patricia Cay. 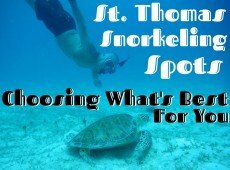 Enjoy breathtaking scenic views from the coral rubble barrier reef which divides Long Point, the southernmost tip of St. Thomas from the deserted island of Patricia Cay. Here you will find multitudes of coral and shells, as well as interesting marine life including bristle stars, sea urchins, chitons and perhaps an octopus in very shallow, clear waters. From this tranquil setting, enjoy a 10-minute paddle through romantic mangrove alleyways looking out for nesting pelicans and eagle rays swimming in the shallow waters below. Be sure to paddle slowly as you pass over the several shipwrecks en route to Cas Cay. Upon arriving at the wildlife sanctuary of Cas Cay, a deserted tropical island consisting of 15 acres of mangrove forest to the south and volcanic cliffs to the north, enjoy a hermit crab race. 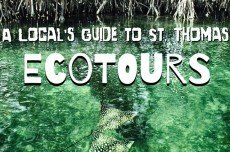 You will learn about the importance of the mangrove eco-system and how to identify the various tropical plants and their edible and medicinal uses. Then enjoy a 15-minute leisurely stroll along a scenic coral and shell rubble beach. Once you reach the south side of Cas Cay, explore the incredible boulders flanked with beautiful volcanic cliffs—home to the famous Red Point Blow Hole. This spot will be your chosen place for a picnic lunch with your guide, provided by a local market. You will hike the pristine, deserted 15-acre island of Cas Cay, which is a part of the Virgin Islands Park System. 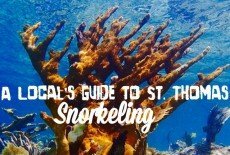 Enjoy the many breathtaking views from the coral and shell-laden beaches, and snorkel a coral-fringed mangrove nursery with an easy beach entry in the clear protected waters. After lunch, while snorkeling, you will continue to explore the waters around Cas Cay. Your guides will lead you on a 45-minute tour through a shallow marine habitat. Explore the sea grass and mangrove nursery habitats in calm, warm and shallow waters teeming with colorful and abundant sea life. Complete your day by kayaking through the mangroves back to the marina. Guides offer snorkeling instruction, point out the marine life, and interpret the diverse mangrove ecosystem. 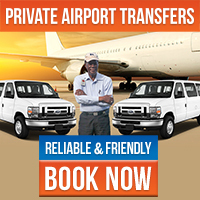 Your payment is 100% refundable until 24 hours before the date and time your tour is due to depart. If you cancel your booking with less than 24 hours’ notice or fail to show up for your tour, then you will not recieve a refund.